If you are reading today’s blog then you have already committed yourself to this mandatory 5-question pop quiz. Too late, you can’t leave now! Plus, who doesn’t love a good pop quiz to test your level of aviation meteorology knowledge. Meteorology you say? That’s right todays pop quiz is on clouds, so I hope you read Monday’s blog post, if not go back and give it a quick read thru by following the below link. Before you jump right into the quiz let’s highlight some knowledge pertaining to clouds you should know. Stability determines which of two types of clouds will be formed: cumuliform or stratiform. Cumuliform clouds are the billowy-type clouds having considerable vertical development, which enhances the growth rate of precipitation. They are formed in unstable conditions, and they produce showery precipitation made up of large water droplets. Stratiform clouds are the flat, more evenly based clouds formed in stable conditions. They produce steady, continuous light rain and drizzle made up of much smaller raindrops. Steady precipitation (in contrast to showery) preceding a front is an indication of stratiform clouds with little or no turbulence. Clouds are divided into four families according to their height range: low, middle, high, and clouds with extensive vertical development. The first three families—low, middle, and high—are further classified according to the way they are formed. Clouds formed by vertical currents (unstable) are cumulus (heap) and are billowy in appearance. Clouds formed by the cooling of a stable layer are stratus (layered) and are flat and sheet-like in appearance. A further classification is the prefix “nimbo-” or suffix “-nimbus,” which means raincloud. High clouds, called cirrus, are composed mainly of ice crystals; therefore, they are least likely to contribute to structural icing (since it requires water droplets). C—relative humidity reaches 100 percent. 2. If an unstable air mass is forced upward, what type clouds can be expected? A—Stratus clouds with little vertical development. B—Stratus clouds with considerable associated turbulence. C—Clouds with considerable vertical development and associated turbulence. A—a cloud with extensive vertical development. C—a middle cloud containing ice pellets. 5. 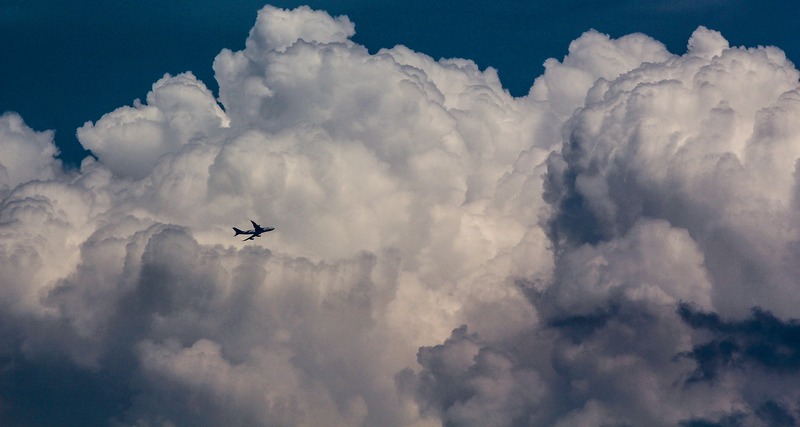 What clouds have the greatest turbulence? So, how do you think you did? Check out the Answers & Explanations. 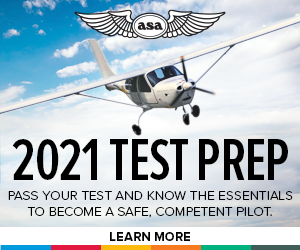 Note, the question above are sample questions representative to what you might see on your FAA Private Pilot Knowledge Exam.